Spring is just around the corner! The snow is starting to melt, the days are longer, the sun is shining and the kids are even more wiggly! The problem is that there is still lessons to be learned and tests to be taken. Make it a little easier on the kids by giving them opportunities to move! These Spring themed movement ideas are perfect for the wiggly kiddos! 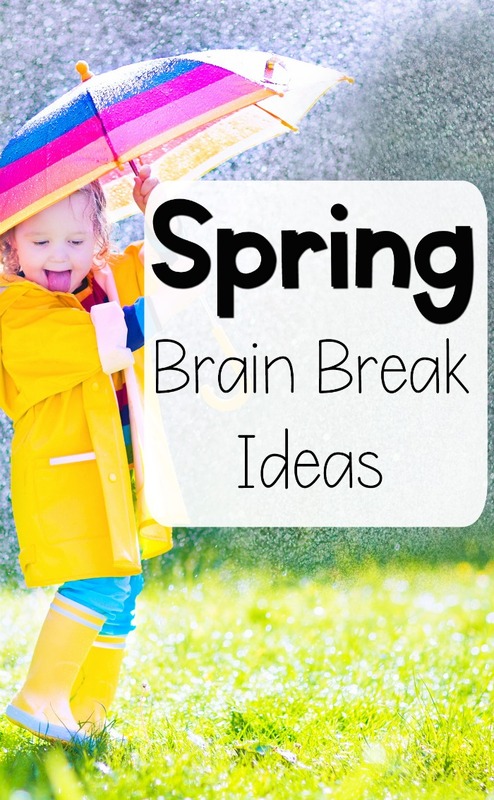 Work on gross motor skills or give the kids a Spring themed brain break! The great thing about these ideas are that the number of repetitions and duration of time can easily be adjusted based on your needs! I like to make sure the kids are working hard and getting re-energized! Patterned Movements (Example: Jump, Clap, Twist Repeat) Be Creative! Do you love the idea of spring themed brain break cards, but want them ready made for you to have at any time? I don’t blame you! I have them available for you in my Teachers Pay Teachers store or in the shop on the blog. Stay at the store and shop around and find brain breaks for all seasons and themes! 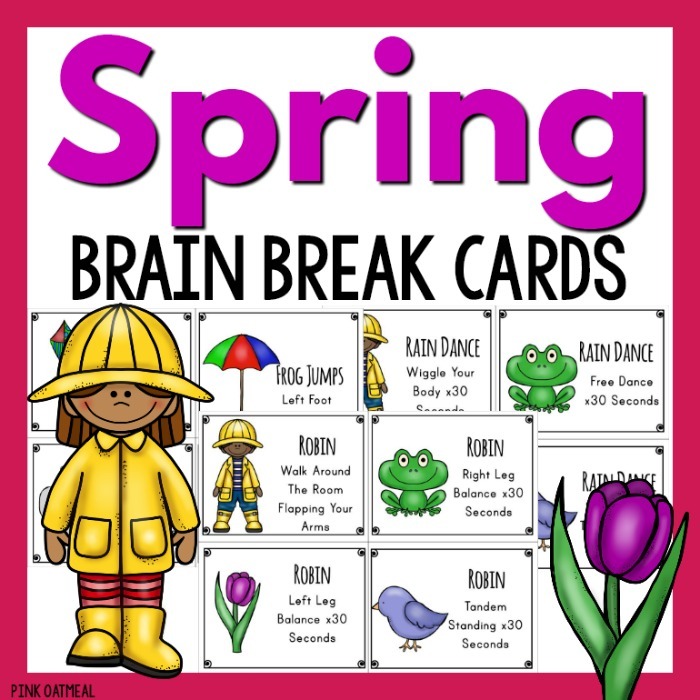 The Spring brain break cards consists of 48 brain breaks with a Spring theme! Previous Post: « When Does A Baby Roll Over?